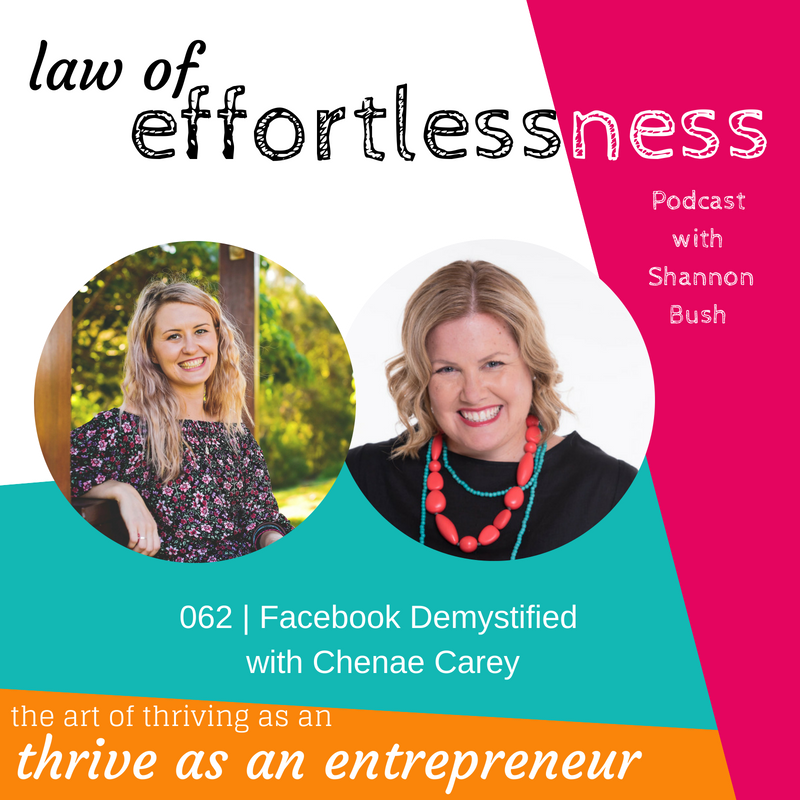 Welcome to this all new episode where your host Shannon Bush chats all things Facebook with Chenae. All the questions you’ve had about using Facebook for your business are answered in this episode – and you’ll hear practical examples of how each tip or trick can be used – including how a photo of a rusty pipe grew a local Perth plumbers page dramatically and building your know like and trust factor. Chenae’s passion is helping small business owners market themselves on Facebook without using FB ads. 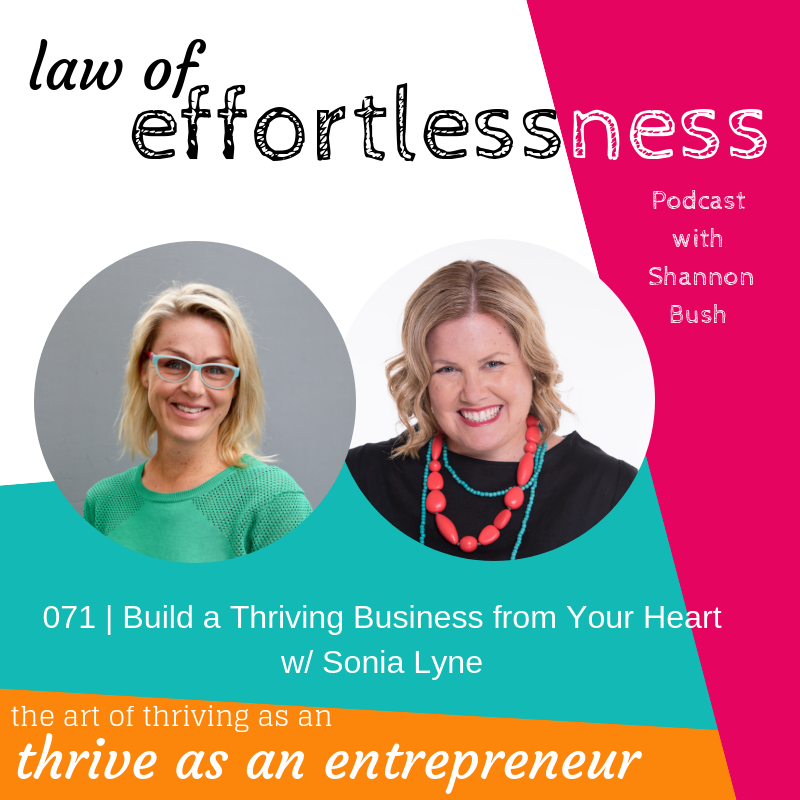 She works with people on their Facebook content and their confidence, to show them how to really connect with their followers and their audience, rather than just slapping up content for the sake of it. Watch Chenae’s lip-syncing video here. 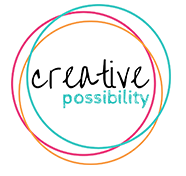 Check out Chenae’s free Facebook Work Book here. 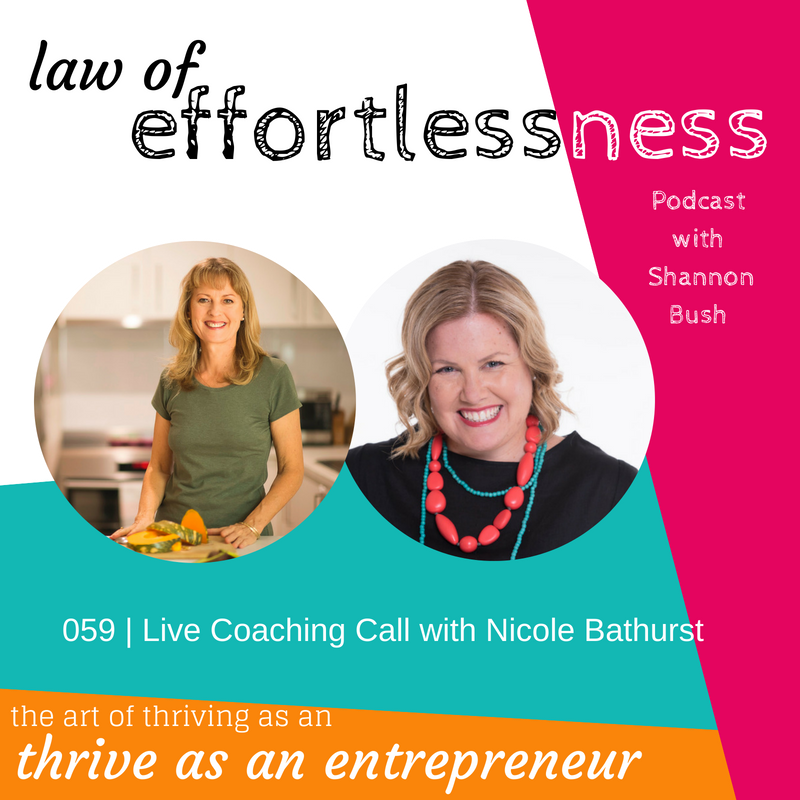 This entry was posted in Business Planning, Business Success, Effortless Success, LOE Podcast, Magnetic Marketing, Marketing, Small Business and tagged Business Coach, Business Coach Perth, business tools, content marketing, effortless success, entrepreneurship, facebook groups, facebook live, marketing, relationships on July 24, 2018 by Ashleigh Rae. 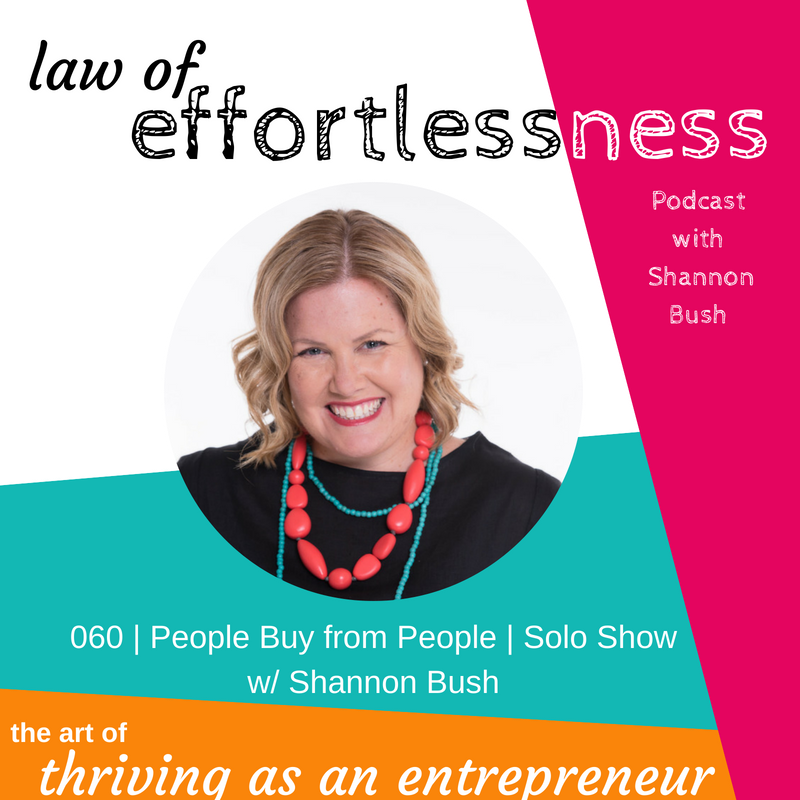 Welcome to episode 060 of the LOE Podcast, this episode is a solo show with Business Coach Shannon Bush, talking about this golden rule of entrepreneurship: People Buy from People. Reflecting on the recent Artful Business Retreat hosted by Elle Roberts, Shannon shares her insights about why it’s important for us to connect with our market and highlights an often overlooked and very critical consideration all business owners can learn from; The reality that there is always a real person with real emotions and real needs who need what you have. When we fail to connect as a real person, we miss a golden opportunity to educate and make offers, and to really build our relationships with potential clients and prospects. Touching on the importance of keeping your systems easy to use as a business owner, it’s essential that they are also are as engaging as possible. Shannon shares a case study from one her own clients, who is a corporate consultant. While working with the client, Shannon noticed a lack of images that featured actual people across all of the marketing collateral – including business cards, website, and flyers. Shannon talks through the impact this has on a business’ perception. Can you give your clients an effortless opportunity to invest their time, energy and money with you? Always remember People Buy from People! 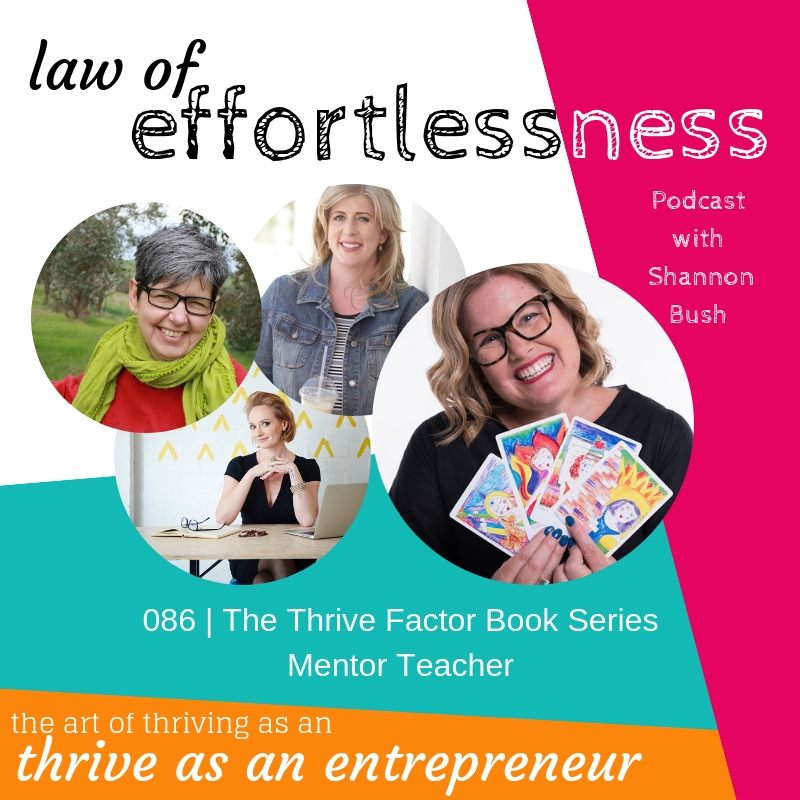 This entry was posted in Business Success, Business Wisdom, Effortless Success, LOE Podcast, Magnetic Marketing, Marketing, Small Business and tagged artful business conference, Business, Business Coach, Business Coach Perth, business success, effortless success, entrepreneur, LOE podcast, magnetic marketing on June 26, 2018 by Ashleigh Rae. Welcome to episode 058 of Law of Effortlessness, featuring Nat Wright of Verissima Natural Skin Care. Nat has been on a quest to find answers most of her life. Without intending to, Nat found herself as the owner and chief creator at Verissima Natural Skincare. It’s become the perfect vehicle for her to share her love of natural solutions for both our skin and our wellbeing. Verissima is all things natural, toxin and synthetic free and it’s growing community love being able to rely on the incredible, beautiful smelling products Nat provides. Nat’s professional background includes studies within Conservation & Environmental Management and work within biosecurity and compliance with the AQIS and Quarantine WA. Nat acquired a diverse range of skills prior to leading Verissima and she has been able to use these along with an added understanding of the impacts of treating our produce with seriously toxic chemicals, to refine and offer the best natural products available. As a busy mum of two, Nat loves spending time with family and can often be found enjoying the families’ holiday getaway. Nat is most inspired to help and educate others while also looking after the planet. She believes we have all we need in nature, but it’s a matter of harnessing and knowing what to do with what we have right on our doorstep. Shannon and Nat discuss the abundance of nature and it’s ability to heal and nurture our body. Nat’s journey with natural skin care began when she gave birth to her first child and the range of products on offer to wash her baby with, and she began searching for a natural alternative. Shannon and Nat explore what keeps the fire in Nat’s belly in the very busy beauty industry, and what keeps her going. You’ll hear how any business can use the word Organic in their marketing, the obstacles to being educated about the products you use on your skin, and the role of media. You’ll also hear Nat’s journey with marketing her business and owning her expertise and hard lessons learned in business. Connect with Nat via her website here Instagram here and on Facebook here. Find out more about Profit First here. This entry was posted in Business Wisdom, LOE Podcast, Magnetic Marketing, Mindset, Personal Leadership, Small Business and tagged authentic business, Business Coach, Business Coach Perth, business life blend, content marketing, effortless success, entrepreneur, magnetic marketing, marketing coach perth, Marketing Training, Nat Wright, Verissima Natural Skincare on May 30, 2018 by Ashleigh Rae.